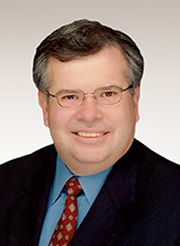 Mr. Alfred Roland Valdez has been practicing law in both Texas and U.S. federal courts since 1984. In addition to serving as “Of Counsel” with Hanten and Associates, PLLC., Mr. Valdez is a partner with Lin & Valdez, L.L.P. His law practice is primarily in the areas of civil and criminal litigation. Civil cases he tried or settled include matters such as medical malpractice, wrongful death, defective products, premises liability, toxic tort, workers’ compensation, family law, construction cases, and commercial disputes. Most of the cases have been settled through negotiated settlements or mediation procedures; many others have been tried in State and Federal District Courts. Additionally, Mr. Valdez has been certified as a mediator for over 10 years. As a mediator, Mr. Valdez has been exposed to numerous disputes in which he is asked to assist the parties in resolving their problems; he has been involved in over 300 mediations. Eighty percent of his law practice involves civil litigation. Alfred Valdez has worked on both the plaintiff and insurance defense side of the bar, and his experience as a litigator for over 17 years and a mediator for over 10 years can offer clients insight and assistance in resolving their legal issues. Mr. Valdez is a graduate of Texas A&M University where he received a Bachelor of Arts degree in Political Science and Economics. In 1984, Mr. Valdez obtained his Doctor of Jurisprudence from South Texas College of Law; South Texas College of Law is a private law school which is well known for graduating skillful trial lawyers.